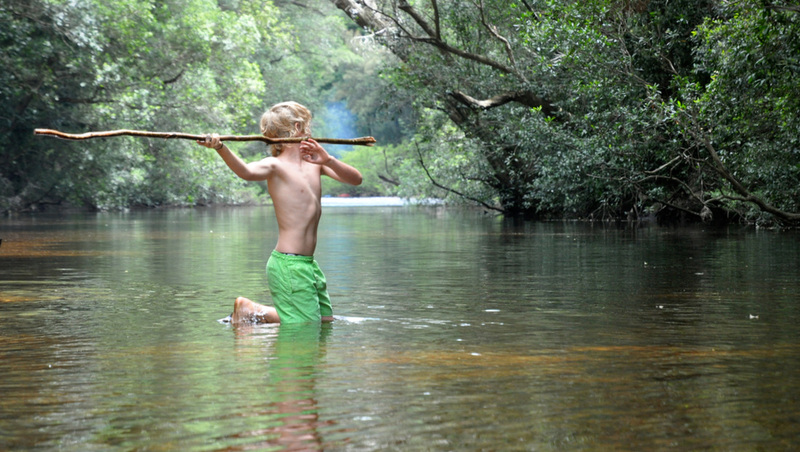 Come join our reWild Tribe! 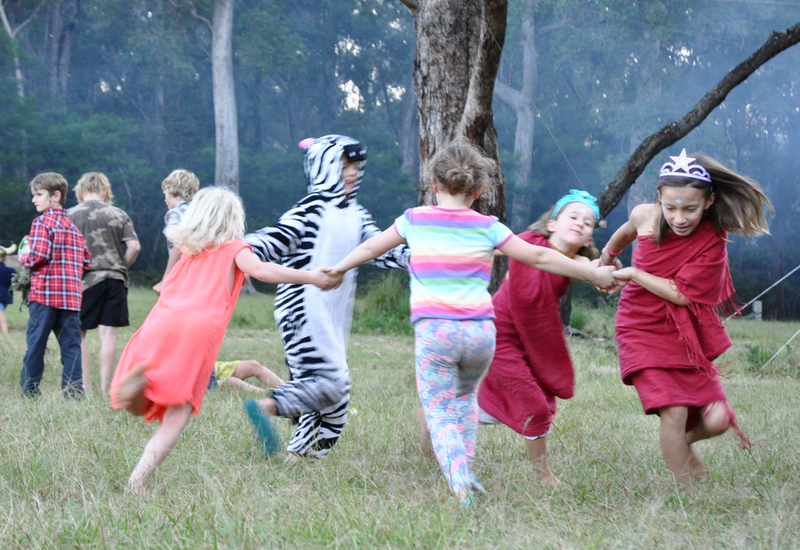 Camping together in a stunning bush environment we will weave a basket of tribe, bring together many strands: starry skies; misty mornings; swimming in pristine waters; cooking on campfires; looking after each other; playing games; singing and storytelling; rope swings; tree climbing; bushcraft and so much more! Wow! Sounds great. How does it work? We arrive at an empty meadow at the edge of forest and river. We make a campfire circle, a place to cook and eat and drink tea and tell stories. You pick a camping spot for your family and put up your tents together. That afternoon, we come together as tribe for the first time and get to know each other, and what we are interested in. The next day, the ReWild your Child Program starts. Each day the participating kids go off with Lee and the other mentors for adventure and nature education games, 8.30am - 12.30pm. 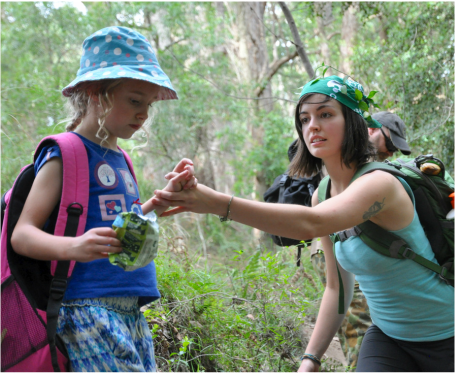 Younger children and parents stay in camp with Gina. This is a time to relax, explore, tell story, weave baskets, maybe learn about bird language... that kind of good stuff. Please note: this is wild camping. There are no buildings, and only a primitive drop dunny. Families are responsible for themselves - you bring your own camping & cooking equipment, food, water etc. (most folks drink the water straight from the creek - it's that clean. But you may want to bring your own purification/filtration system). ﻿Dinners: We offer wholesome campfire cooked dinners as an optional extra. Only $60 per person for the whole week! Good hearty meals like stews, pasta bakes, pot roasts, that kind of thing. If the idea of wild camping seems daunting, (or if you are coming as a single parent and it seems like a lot of work) give us a ring. We want to support you to come and although getting out of the city can be a bit of a mission, once there you will find yourself in a tribe - and that means we look after each other. There are also two cabins to stay in - first come first served. Click here for more info. I have two boys, my two boys have busy parents. Coming to spend half of their school holiday with our ReWild Tribe, we are all taken out of our busy life, time slows down, being outside is feeding the soul and awakening the senses, my boys get to run wild with other kids working as a team problem solving caring for each other, developing relationships and real life skills that seem to be over looked in the cattle yard playground of school. Lee creates an atmosphere of integrity and authenticity when it comes to caring for kids; the challenges and activities they do are exciting, educational and extremely fun. 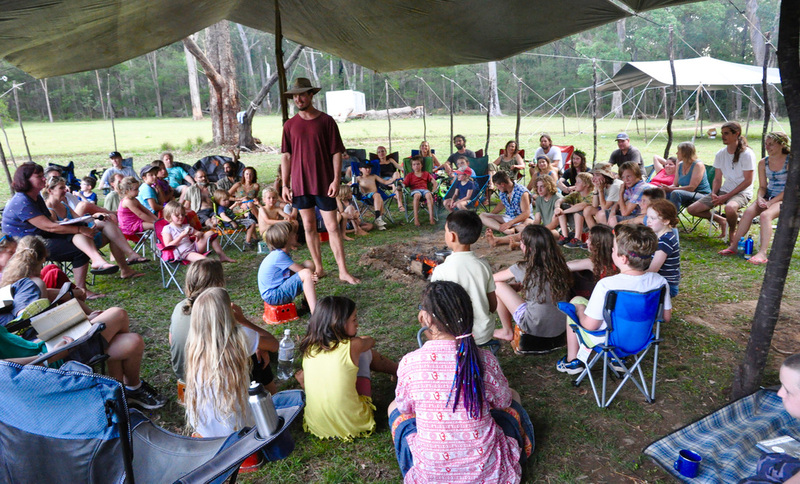 Lee puts 200% into all that he does with them including his endless dreamtime stories which have the kids gripping with anticipation and cackling like kookaburras. There is a yearning in us all to be in a tribe. 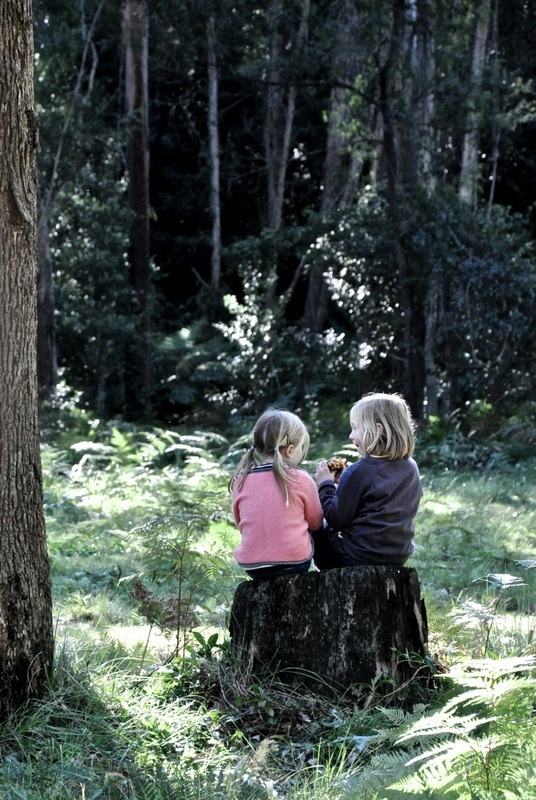 The kids will thank you for reconnecting them to people and the teachings of nature. For me and my boys, this has become a part of our lives and we love it. so - Where and when and how much? Where: We camp together on a spectacular bush property near Pigeon House Mountain, at the edge of Morton National Park. 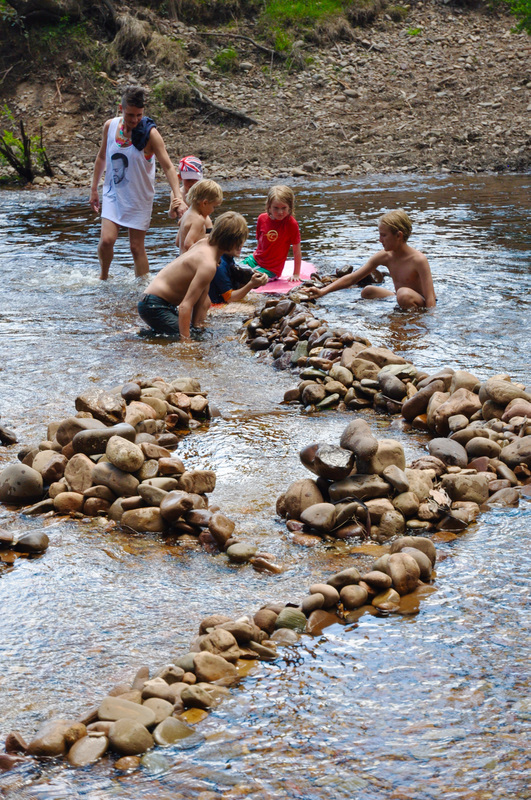 There is forest, meadow and a gorgeous river to swim in. When you get there, you'll see why it's worth it. When: Click here for ReWild Tribe dates. 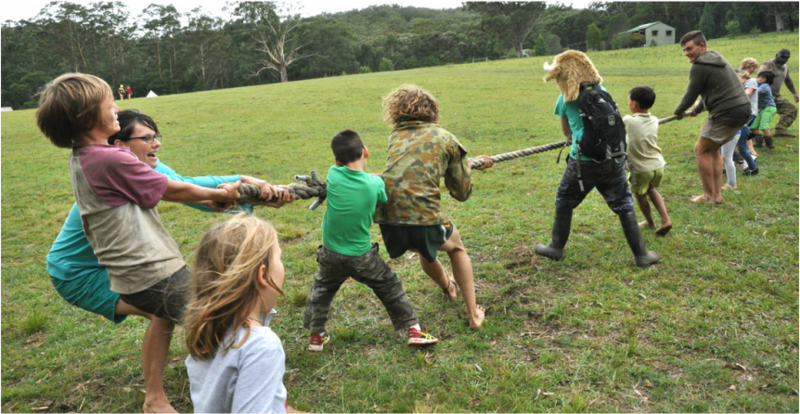 ReWild Tribe is offered every school holiday and runs for five days. 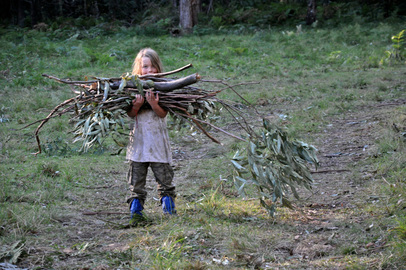 For kids who want to join the daily ReWild Your Child adventure, the cost is $440 per child for the week ($400 + GST). Click here for more info on that program. 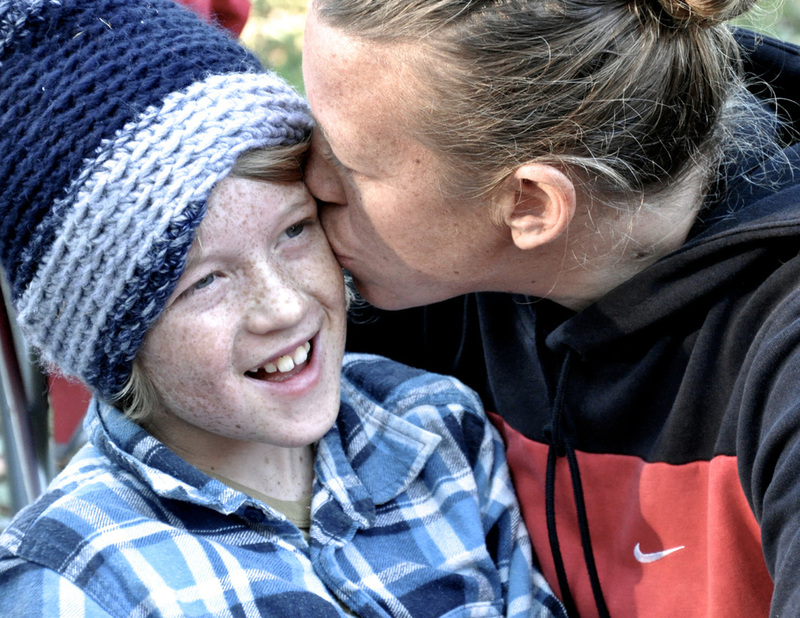 Payment of a $250 deposit per family secures your place on the camp, and your child's spot in the ReWild Your Child program. The balance is payable 2 weeks prior to camp. YES! WE WANT TO JOIN THE TRIBE. Click on the button to go to our Sign Up page, and find out how..